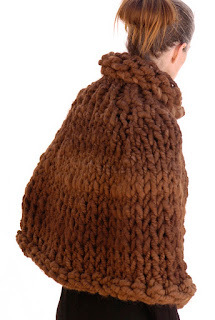 For those of you wondering whatever became of the rather large ball of yarn I showed in my last post I present a Luxe Cape. I have such a weak spot for alpaca! I love the way it feels and would wear this cape constantly if I didn't live in a desert climate (although it does get chilly at night) and hadn't already shipped it to the BagSmith at Stitches East happening this weekend in Hartford Ct. I used a 5/8" ribbon for the closure. 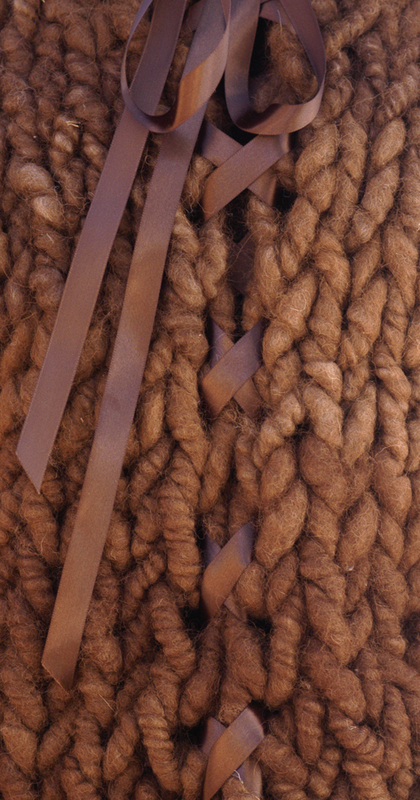 So if you happen to be in Hartford this weekend and are stopping by Stitches make sure you check out the BagSmith's booth to experience this amazing yarn in person. what a cozy warm poncho!! Looks so great for the fall weather we're having. Looks awesome! Could you double up on super chunky and get the same thing? Perfect for fall! 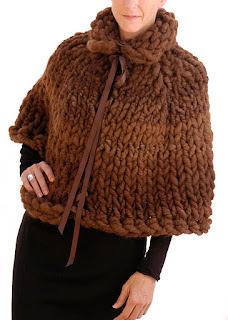 ...I too love alpaca - SO nice !